As long as there have been movies, there have been posters selling films to audiences. Posters came into existence just decades before the inception of film, and as movies became a universal medium of entertainment, posters likewise became a ubiquitous form of advertising. At first, movie posters suggested a film's theme, from adventure and romance to thrills and spine-tingling horror. Then, with the ascendancy of the film star, posters began to sell icons and lifestyles, nowhere more so than in Hollywood. But every country producing films used posters to sell their product. 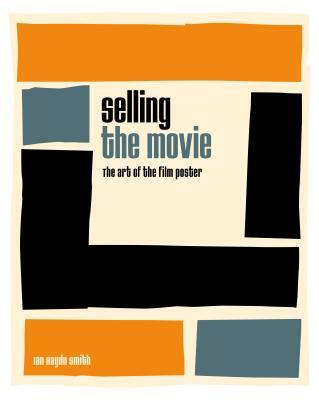 Selling the Movie: The Art of the Film Poster charts the history of the movie poster from both a creative and a commercial perspective. It includes sections focusing on poster artists, the development of styles, the influence of politics and ideology, and how commerce played a role in the film poster's development. The book is richly illustrated with poster art from many countries and all eras of filmmaking. From creating the brand of Charlie Chaplin's tramp and marketing the elusive mystique of Greta Garbo, to the history of the blockbuster, the changing nature of graphic design by the decade, and the role of the poster in the digital age, Selling the Movie is an entertaining and enthralling journey through cinema, art, and the business of attracting audiences to the box office.